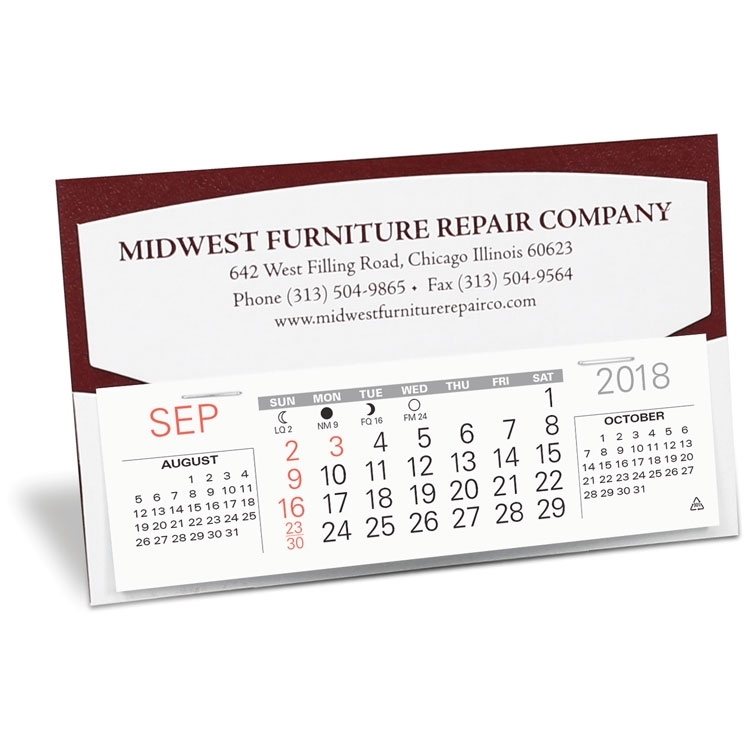 The Stanley Desk Calendar with a foil-stamped imprint and a 5 ¼” x 1 5/8” 3-month-in-view 13 month date pad. Standard in White with maroon, white or blue trim with matching imprint color or Woodgrain with gold imprint. See "Options" for other than standard imprint colors. Free mailing envelopes are included, not inserted. PMS color match $49.00 (d) per color. NOTE: Product color can affect the imprint color.